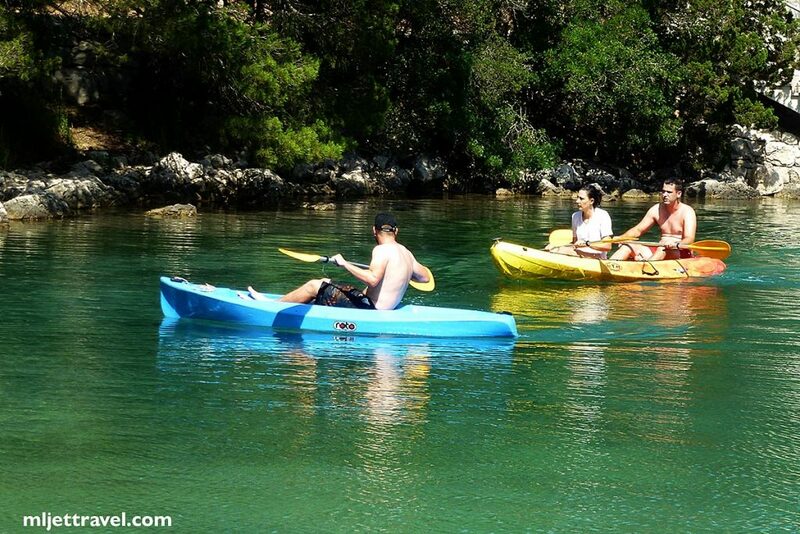 Kayaking in Mljet National Park is a great way to see the coastline around these this lovely Lakes. 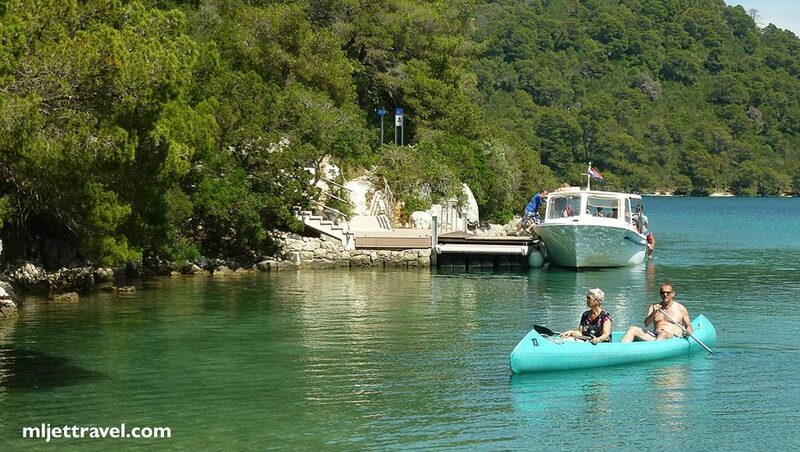 It offers an ideal opportunity for canoeing or kayaking surrounded by calm and beautiful scenery. 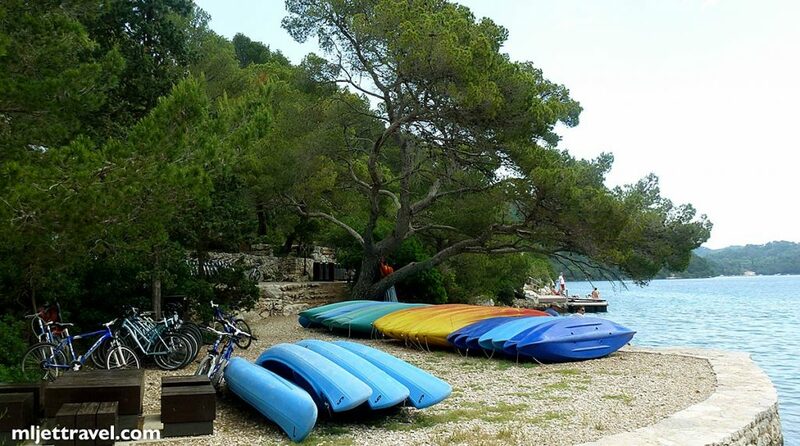 As these lakes are completely sheltered, sea kayaking here is a great fun for every age and every level of fitness and is a very popular activity here. 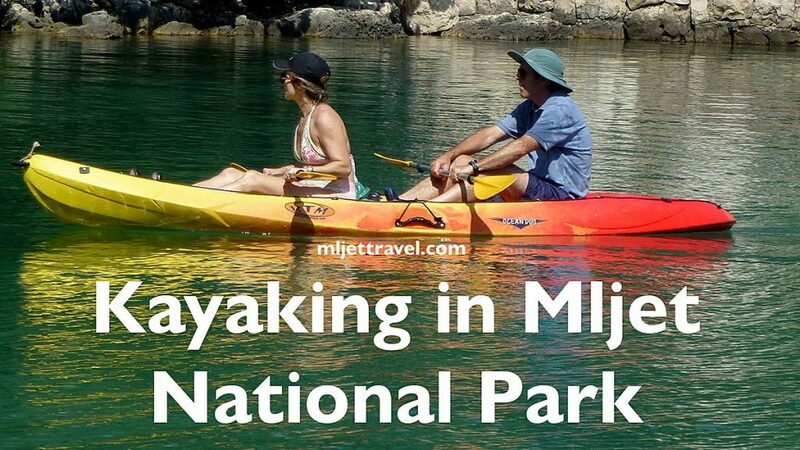 It allows paddlers of all levels to explore the water part of this National Park at their own pace taking wonderous views of nature at its best. 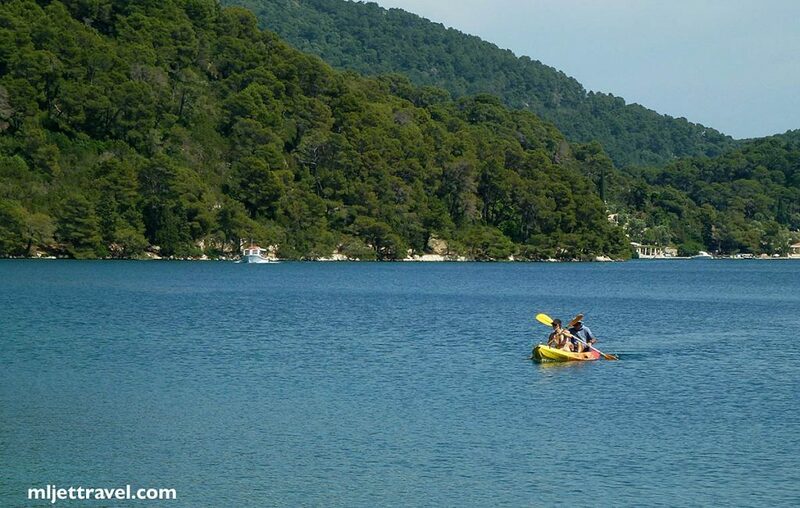 It will take you about 30 minutes to paddle there from Mali Most or Pristaniste. 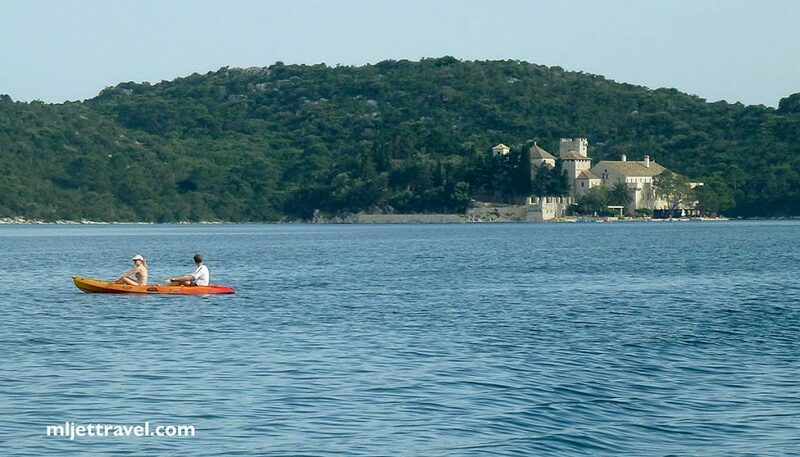 The sea is almost always calm here and paddling to the islet is doable for most of the times. The very important thing is to make sure you take your sunblock, water and hat with you as sun ray reflections from the water here are very strong. It is due to a calm surface that reflects sun rays very well. In Sveta Marija, you can have coffee or refreshment and get back to your starting point in another 1/2 hour. On your way back you can stop in any location you like to have a swim or just a quick dip if you feel like.